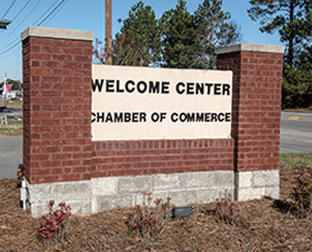 The Eastman Dodge County Area Chamber of Commerce serves the Dodge County cities of Eastman, Chauncey, Rhine, Milan and Chester, Georgia. Our offices are located at 1646 College Street, right across from our ever expanding south side industrial park and next door to the Terry Coleman Conference Center. We work hard to be the information hub for the Eastman and Dodge County and all our communities. We take pride in our work as evidenced by our recent selection as a Georgia Certified Chamber and want to earn your support this year and every year. Dodge County, the birthplace of Stuckey's Fine Pecan Candies and roadside stores, has been recognized as a successful and productive agricultural area for generations. Pine trees to cucumbers as well as cotton, corn, peanuts, pecans and soybeans are staple crops for our area. Agriculture is a big business in Dodge County. We are proud to support a thriving manufacturing industry here as well. In fact the only Reyno-bond plant in the Western Hemisphere is located right here in Eastman. Bag manufacturing is also a big business in Dodge County with our partner, the MONDI Corporation. 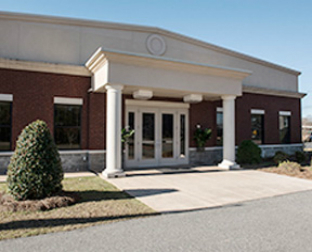 Over the last twenty years we have become home to Middle Georgia State University and the only State Supported School of Aviation. Aviation Manufacturing has developed here with KENCOA's precision machining, AREMAC East's heat treating and DPS/Valance's finish coating services offered to all the major aviation companies including Boeing, Gulfstream, Lockheed Martin and Airbus. We are strategically located to attract aviation business interests from throughout the southeast. Our 6,500' length, 100' wide ILS equipped airport can handle aircraft in the 100,000 lb landing category. We are preparing and growing toward a thriving community in the aviation manufacturing business. In fact, we're hiring! KENCOA won a TOP 2% Award from Lockheed for part delivery in 2017. We welcome you to visit the historic downtown Eastman as we begin the process of building a rejuvenated community. It will be our pleasure to chat with you about our businesses and our community! Who knows: You might decide, as we have that this is the place you'd like to be! By the Members, For the Members.